What is Cyclomune eye drops? 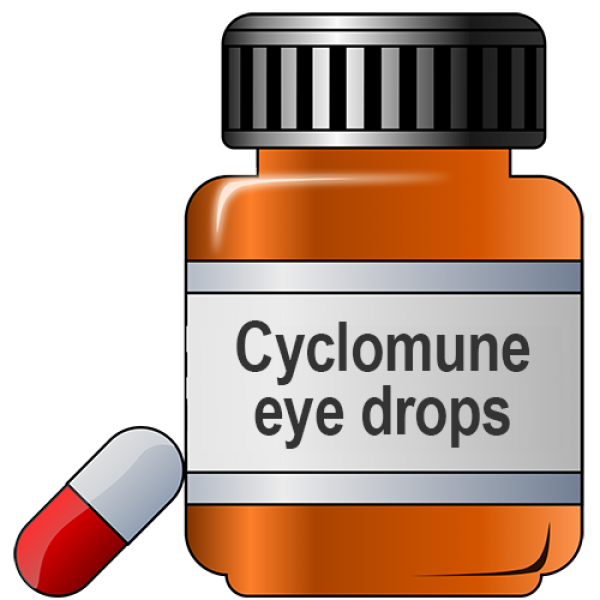 Cyclomune eye drops is an ophthalmic lubricant that contains the drug Cyclosporine. It helps in moistening the eyes and removes burning sensation, itching, redness and irritation of the eyes. Some of its brand names are Systane, Clear Eyes CLR, and Artificial Tears. Cyclomune Eye Drops is an immunosuppressive ophthalmic lubricant and helps in preventing or treating an eye infection. It works locally in the eye by increasing tear production. In conditions like chronic dry eyes, lymphocytes accumulate and clog the tear glands causing failure of tear production. Cyclomune eye drops reverse this condition and help in the tear production. Do not contaminate the dropper. Keep the bottle capped and store at room temperature in a dry place. Keep away from kids and pets. How to take Cyclomune eye drops? Do not administer while wearing contacts. Wash hands and instil one drop in each eye. The usual recommended dosage is one drop in each eye twice a day. However, dosage may differ and the patient should adhere to the dosage prescribed by the doctor. Continue from the next dose onwards. Report any hypersensitivity reaction. Inform if pregnancy or breastfeeding before starting this drug. Do not self-medicate. When Cyclomune eye drops should not be used? If allergic or you develop hypersensitivity to the drug. How long should you take Cyclomune eye drops?